Rejoice! The Music Court is bringing back the end-of-the-year Top 10 song list. Hooray. It’s the highlight of any holiday season! Ok … maybe it’s just some reading fodder that you can scoff at when you binge on holiday leftovers. 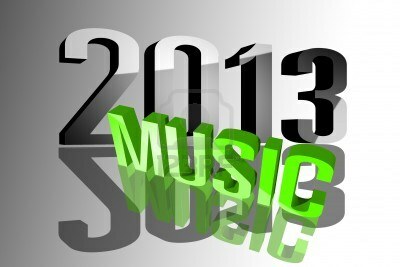 For the rest of December, the Music Court will feature our list of the top 10 songs of 2013. First, some logistics prior to previewing the list. In order to be considered for this list, the song must have been released in 2013. Yes, this seems obvious. But when I say 2013, I mean that the song may have been released as a single in 2013, or if it was not released as a single, it must have appeared on an album released in 2013. Often songs are released on albums the year prior to when the song is released as a single. This simply provides us with more options. This list is clearly subjective. It is completely biased to the taste of those at the Music Court. That being said, you can certainly berate us for getting everything wrong. That’s the fun part of these lists. Comment on rankings you disagree with. Give us your top 10! We want to hear from you. Also, please understand that I (Matt) am not the biggest rap/hip-hop fan. Thus, the list is skewed towards pop/folk/rock (my beloved genres). There is a rap song on the list, though. I promise. But, how? 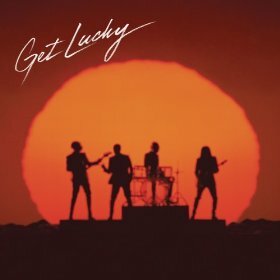 “Get Lucky” and “Blurred Lines” were arguably the two most popular songs in 2013. They should most certainly appear on the top 10 list. You must have something against Pharrell Williams, who is featured in both songs. Credit to Pharrell, by the way. What an amazing year! In June he became the 12th musician in history to hold the #1 and #2 spot on the Billboard Top 100 at the same time … and for two COMPLETELY different songs. Incredible. But, while both songs fall close to the top 10, I do not just go by mainstream success. Both songs are as infectious as chocolate-covered pretzels, but, to me, the top 10 songs all have more enlightened qualities. Know the lyric? 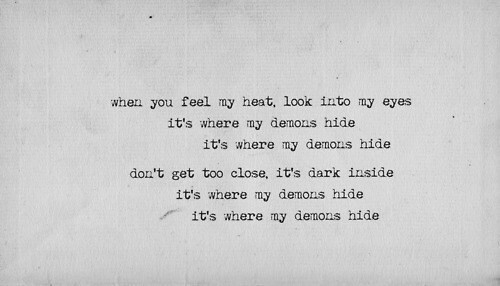 It is “Demons” by Imagine Dragons, which many of you know because of it was overplayed on mostly all rock stations since it was released as an official single in October of this year. The lyric of the song is powerful; a clear depiction of a protagonist with pernicious flaws. It is somewhat hidden behind the crashing melodies and dramatic harmonies, but the music is just so good. Imagine Dragons certainly knows how to intertwine a catchy melody with hard rock sentiments. It’s a great song. Can you imagine the excellent stuff on the top 10 list? Be Tuned in on Monday, Dec. 9 for the #10 song on the list!